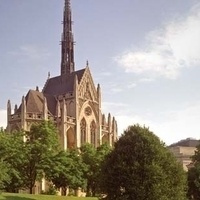 Each year, the chapel hosts between 170 and 190 weddings, which are restricted to Pitt students, alumni, and other affiliates, as well as employees of H.J. Heinz Co. 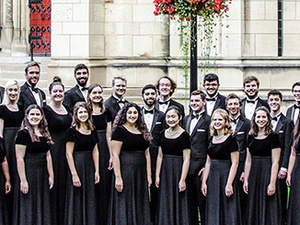 Among the musicians who perform regularly at the chapel are the Heinz Chapel Choir, an a cappella choir consisting of Pitt students. The chapel itself was a gift of company founder, Henry John Heinz, and his three children in honor of H.J.’s mother. The architect was Charles Klauder, who also designed the nearby Cathedral of Learning.